Teller sig. 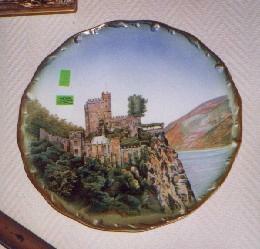 ,,Villeroy & Boch Wallerfangen , Nummer 3082 3, Dec., Rheinstein``. Durchmesser 32 cm. If you want more details, please ask. See scan. Shipping costs up XL – 10 kg. Please look at Top left→ Information → Shipping Costs. The payment has to be done within 14 days. By buying more items, there is shipping discount.